Announced during today’s Direct, BOXBOY is coming to Nintendo Switch and this time he has a partner in crime. BOXBOY! + BOXGIRL! is the latest instalment in HAL Laboratory’s puzzle platformer franchise and is set to release on April 26, 2019. In true BOXBOY fashion, this latest entry in the series places you in control of a box that must multiply itself to get across platforms, climb up walls, and solve puzzles. For the first time in a BOXBOY game, players can ask a friend for some help solving puzzles. 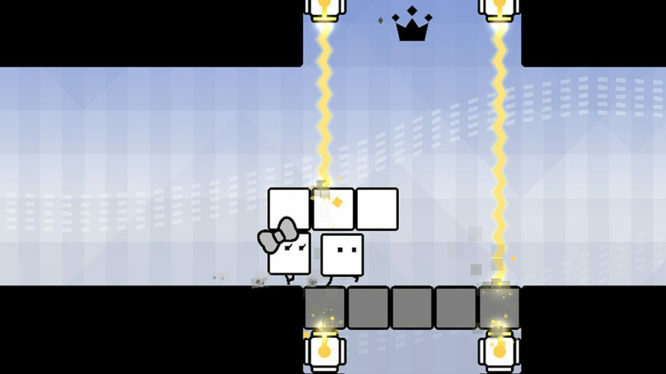 In unique two-player levels, BOXBOY will need to work together with BOXGIRL to clear obstacles, solve puzzles and reach to the end of each course. Once you’ve completed the main story, a bonus adventure is unlocked. Here, you can play as Qudy, a rectangular character that’s new to the BOXBOY family. His odd shape adds a new layer of depth to each puzzle he faces. With over 270 levels in all, BOXBOY! + BOXGIRL! will be sure to test you (and your friend’s) puzzle-solving skills when it releases digitally on the Nintendo eShop on April 26, 2019. The announcement can be seen at 3:45 in the video embedded below.